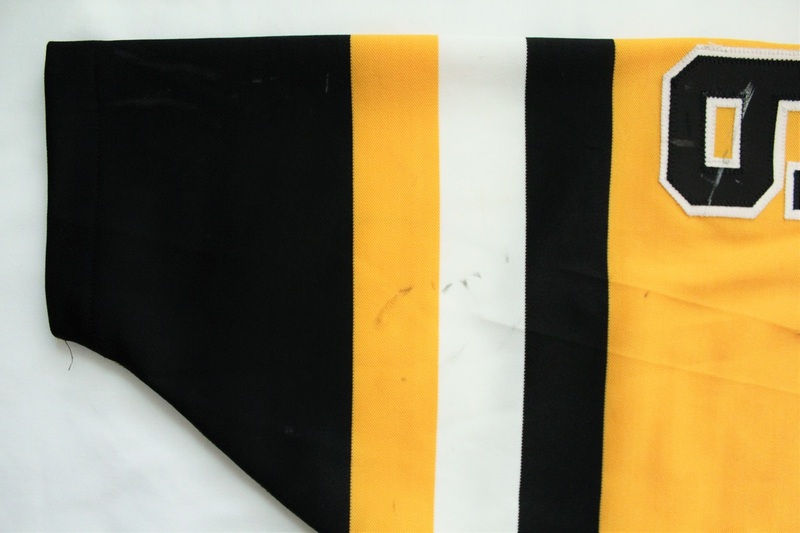 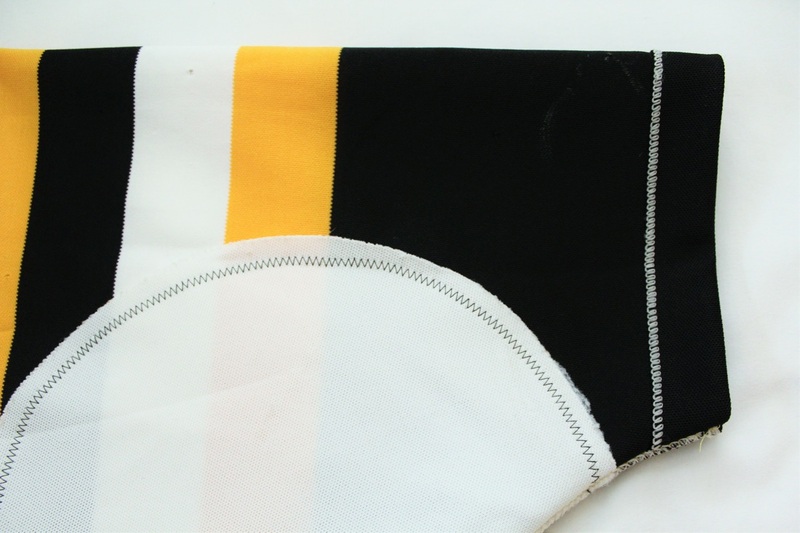 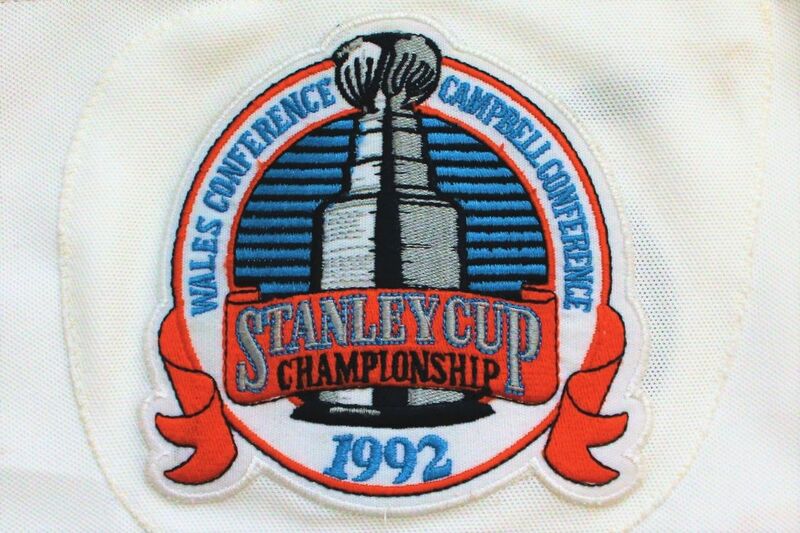 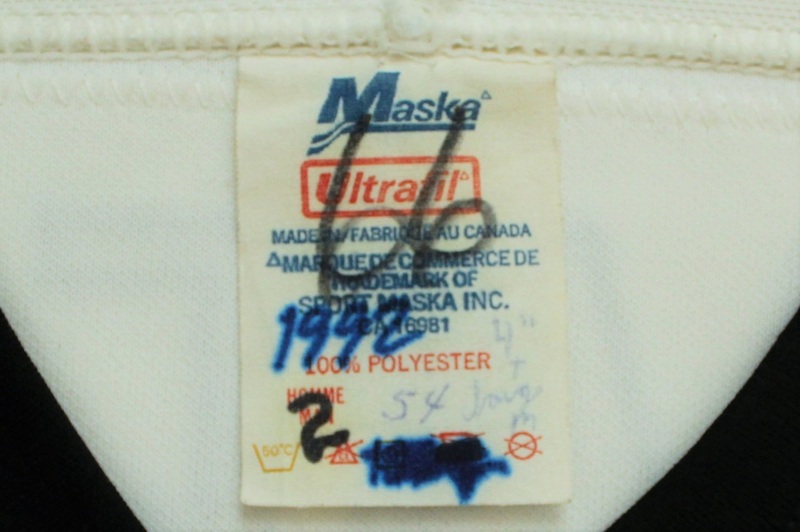 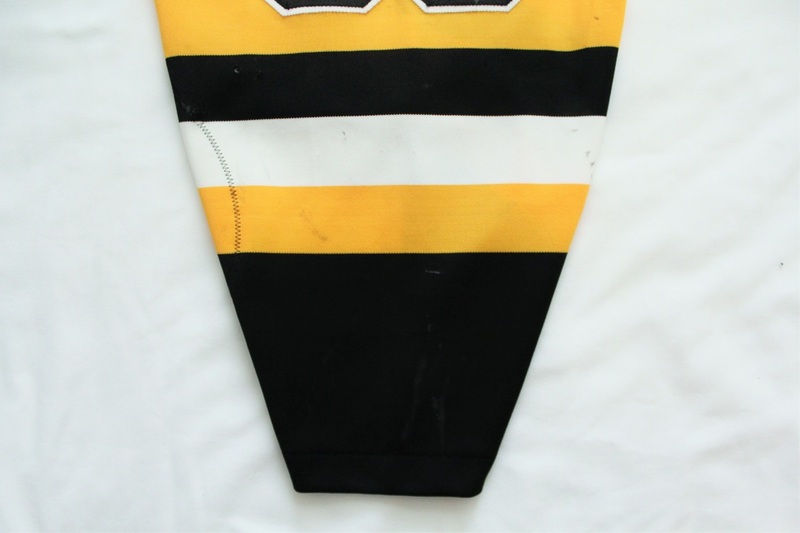 worn during lemieux's game-winning goal with 12.6 seconds left in game 1 of the 1992 stanley cup final vs. chicago after the penguins trailed 4-1 with 4:37 left in the second period. 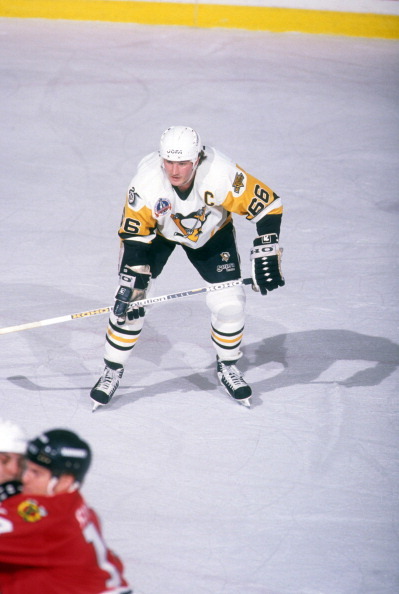 In Game 2, Lemieux broke a 1-1 tie with a power-play goal 12:55 into the second period and added another goal 2:28 later to put the Penguins up 3-1 and give them a 2-0 series lead. 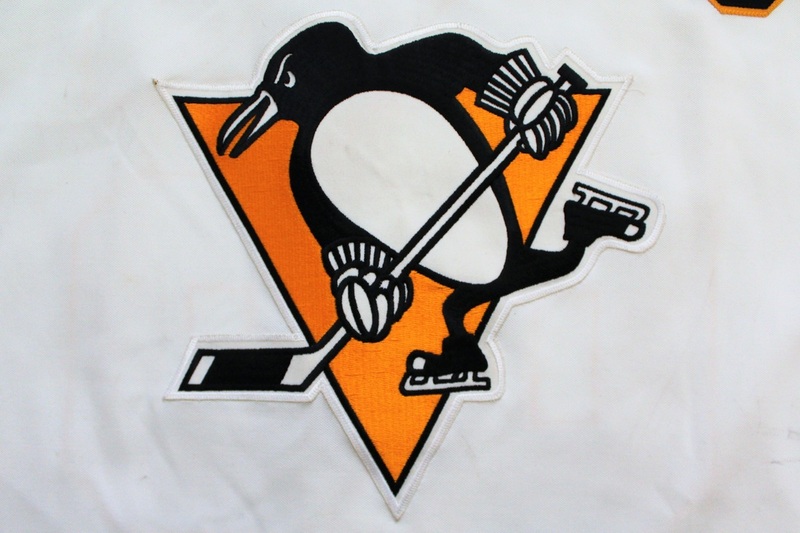 The Penguins swept the Blackhawks and captured their second consecutive Stanley Cup championship. 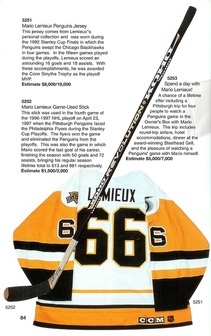 Lemieux scored 16 goals in 15 games and added 18 assists for 34 points en route to winning his second Conn Smythe Trophy in a row as the Most Valuable Player of the Stanley Cup Playoffs. 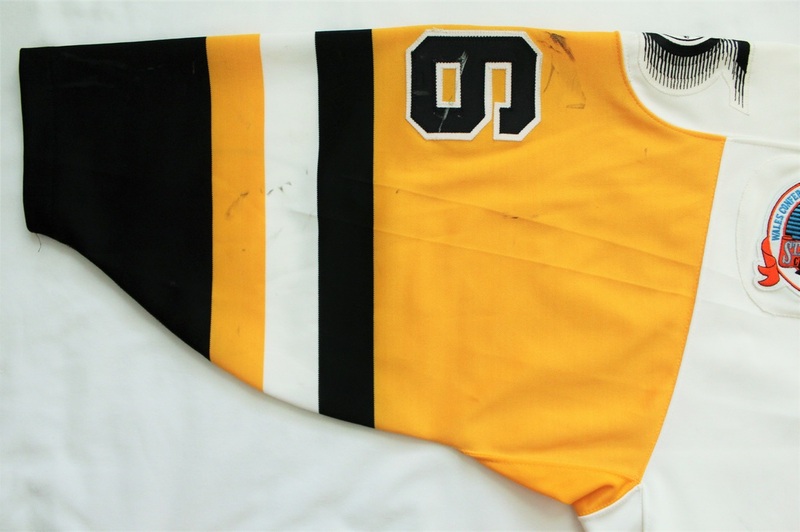 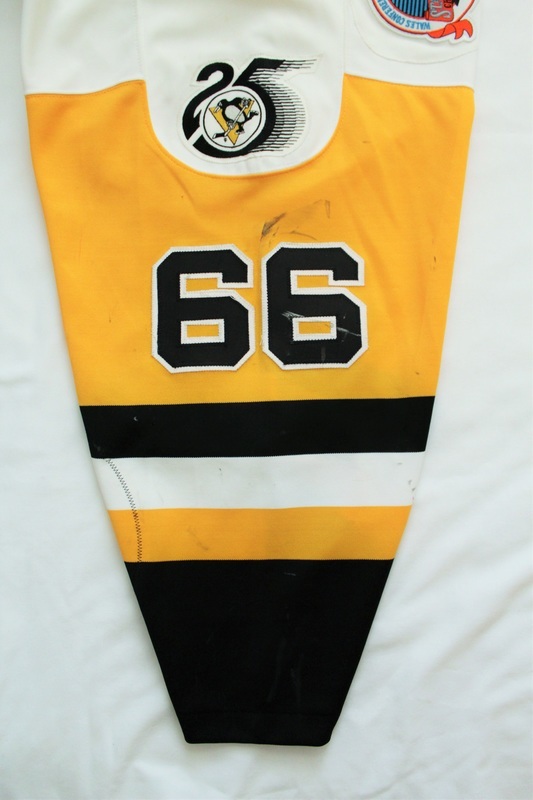 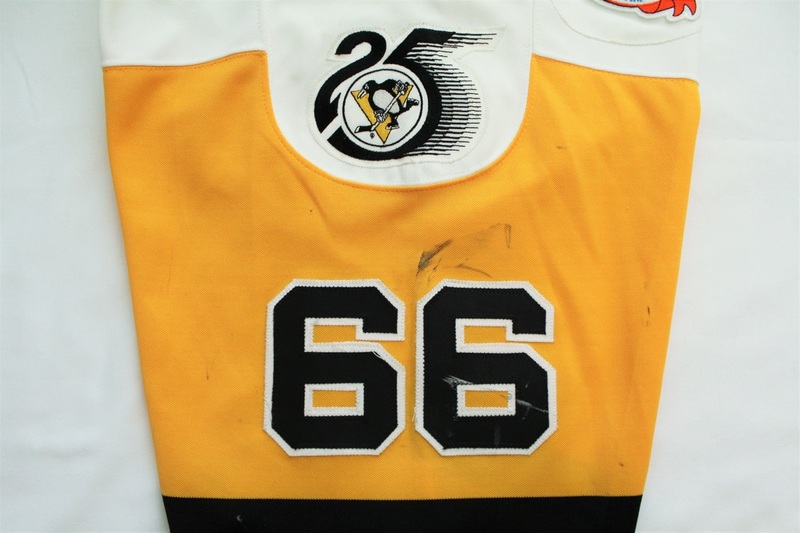 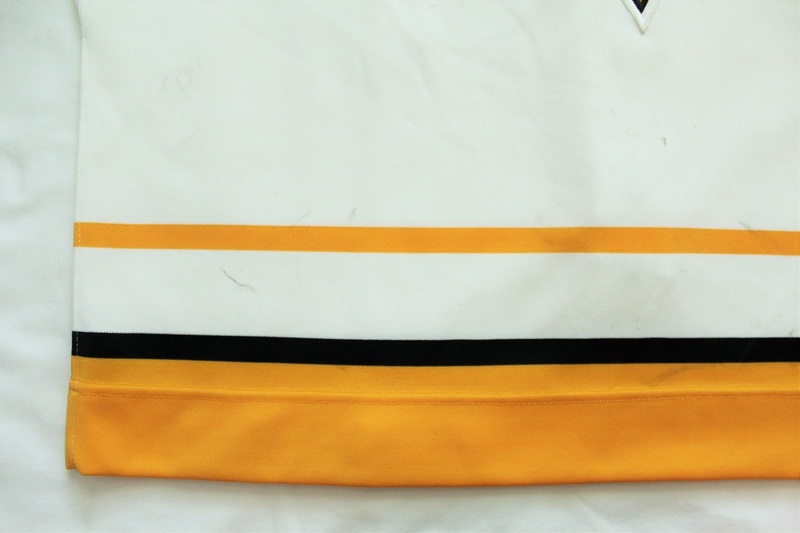 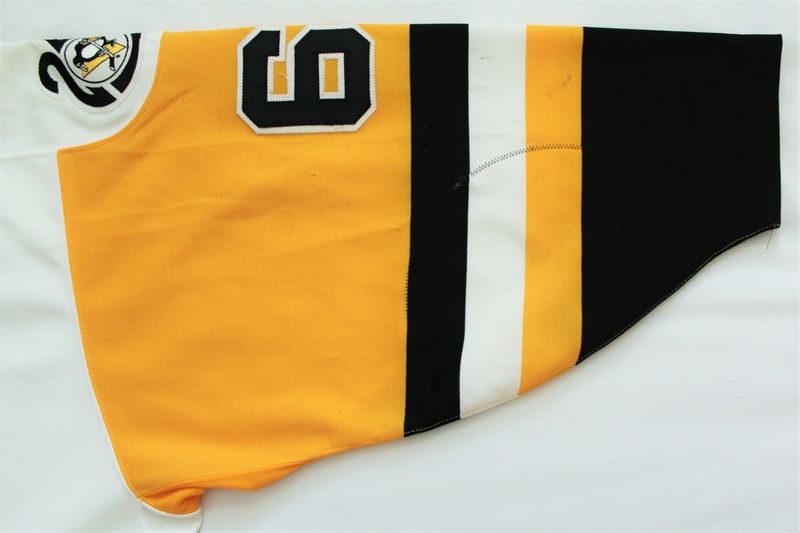 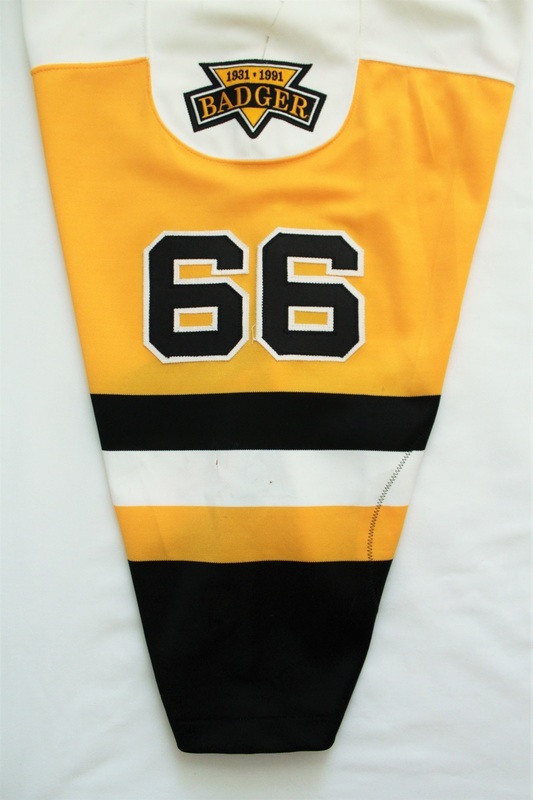 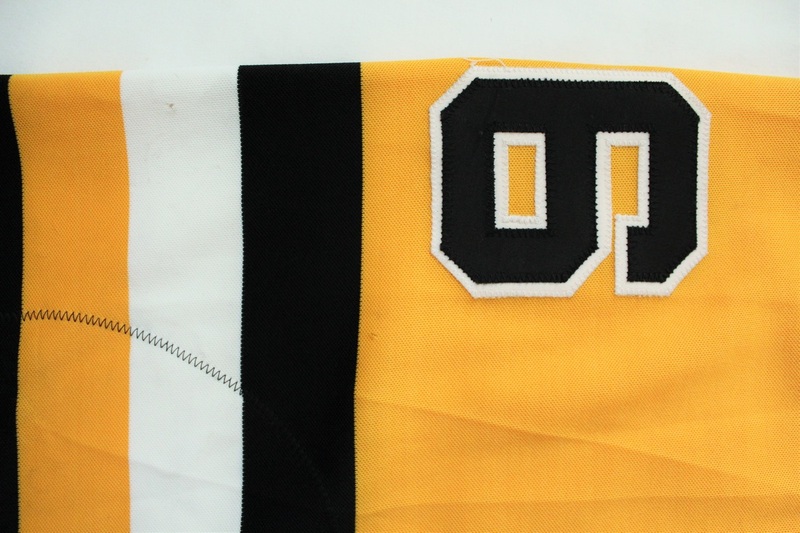 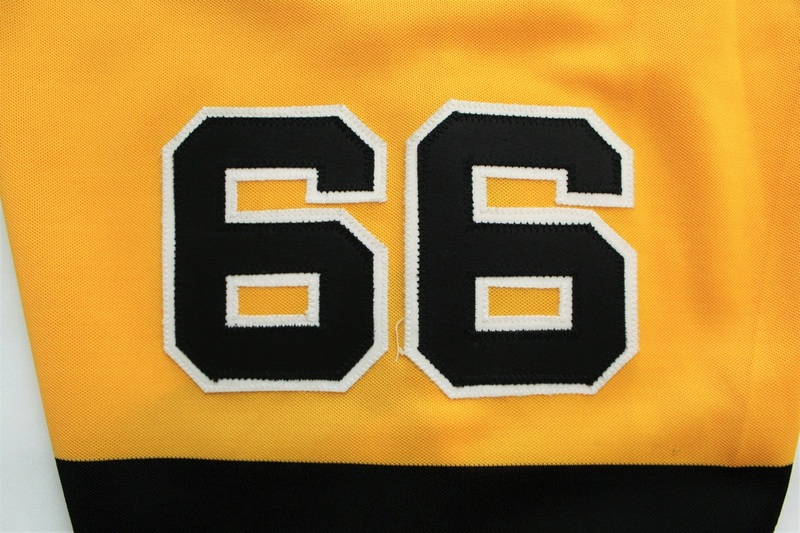 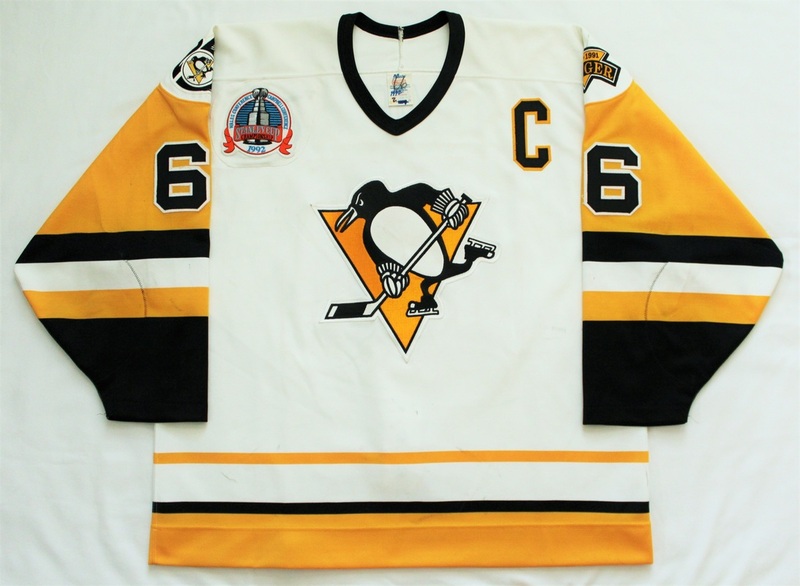 This jersey was worn by Mario Lemieux in Games 1 & 2 of the 1992 Stanley Cup Final in which he scored both game-winning goals propelling the Penguins to a 2-0 series lead and their second consecutive Stanley Cup. 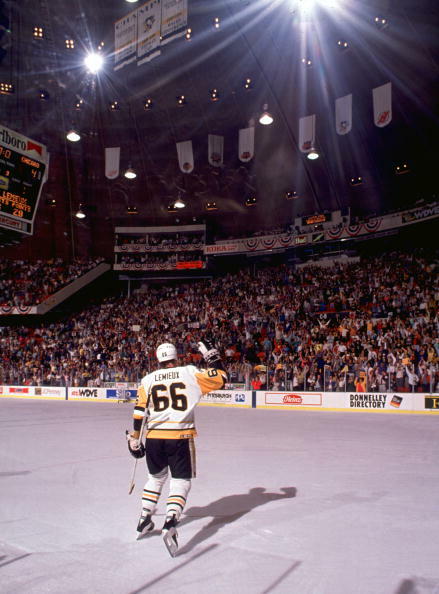 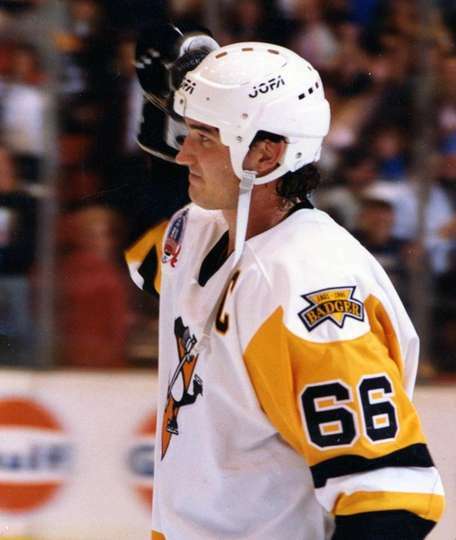 Mario Lemieux #66 of the Pittsburgh Penguins pumps his fist to acknowledge the crowd at Pittsburgh's Civic Arena after being named the #1 star of Game 1 of the 1992 Stanley Cup Final. 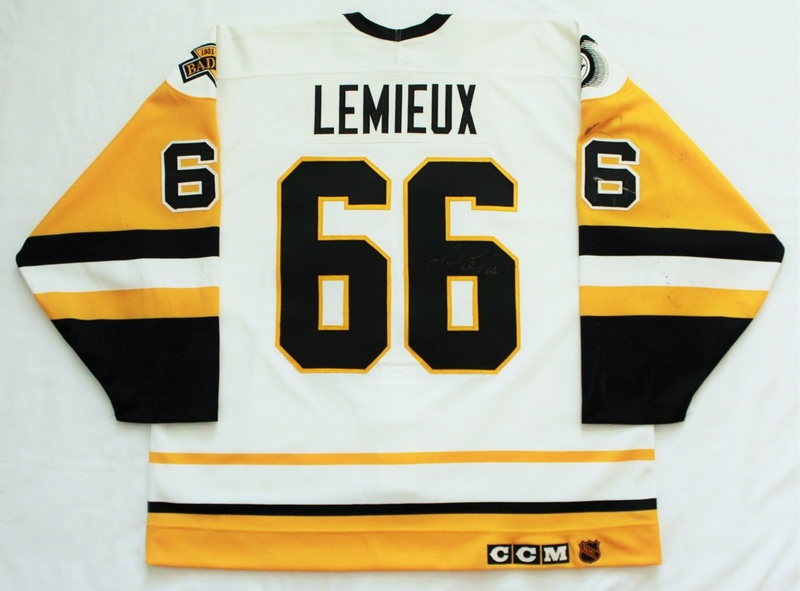 The Penguins defeated the Chicago Blackhawks 5-4 on Lemieux's goal with 12.6 seconds left in the game. 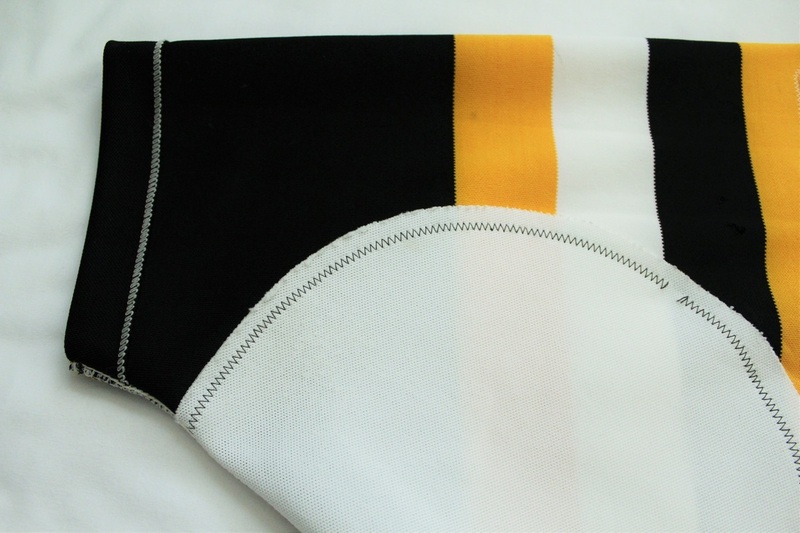 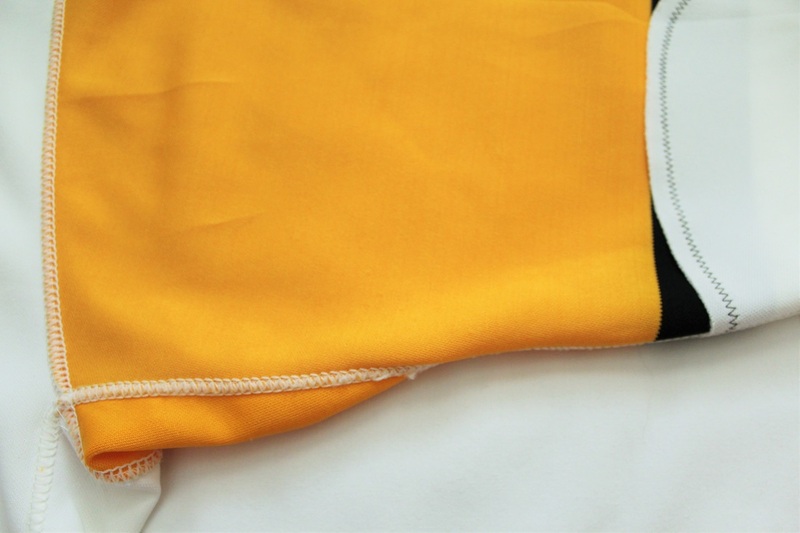 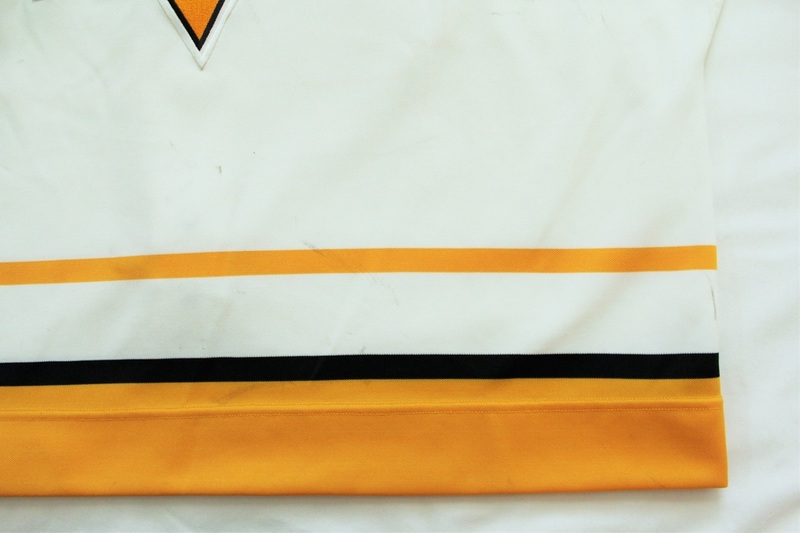 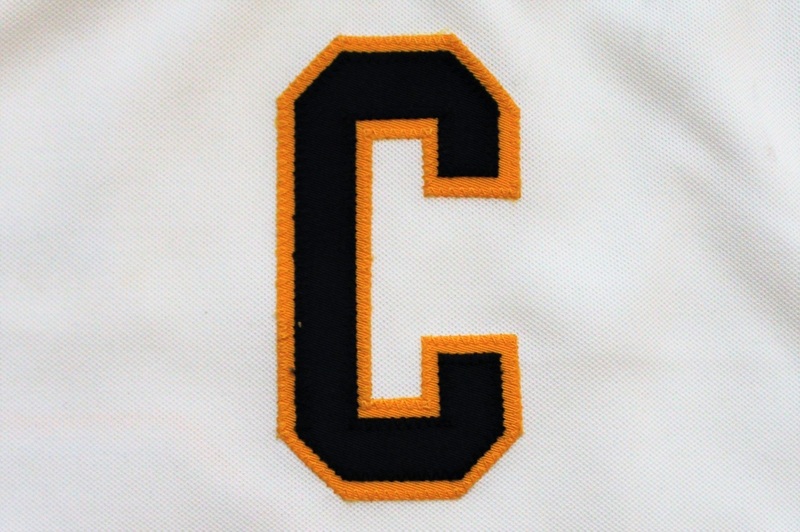 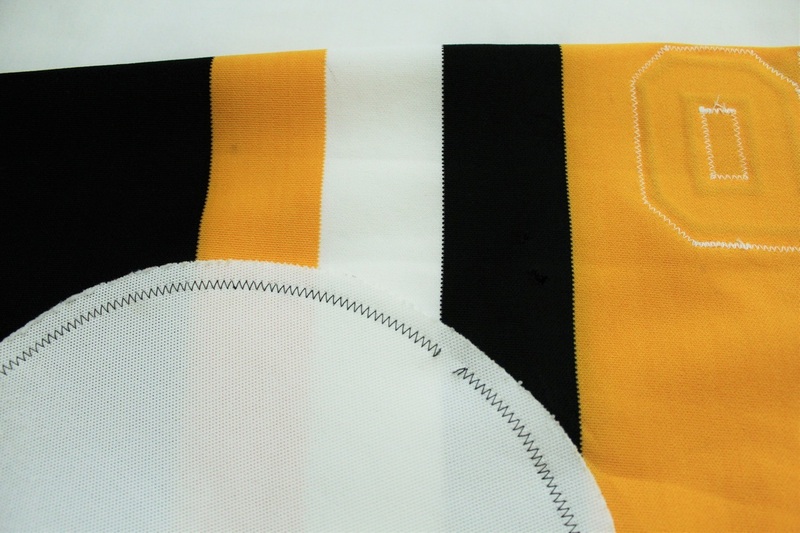 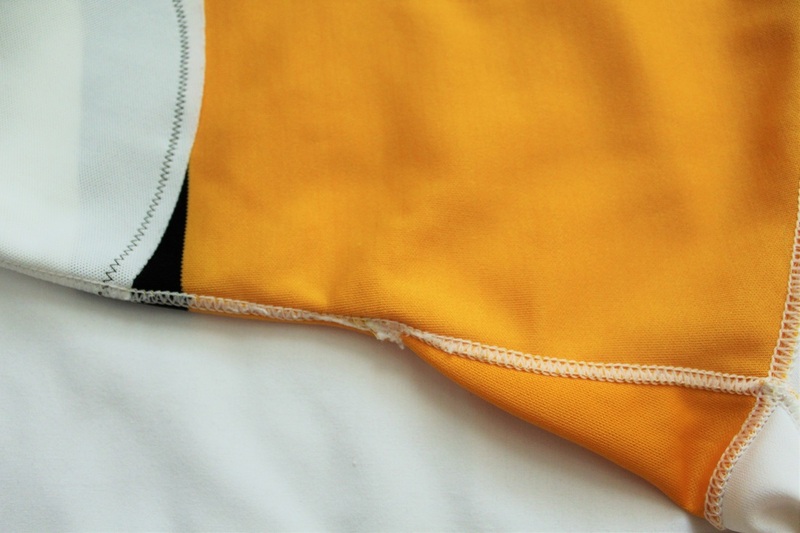 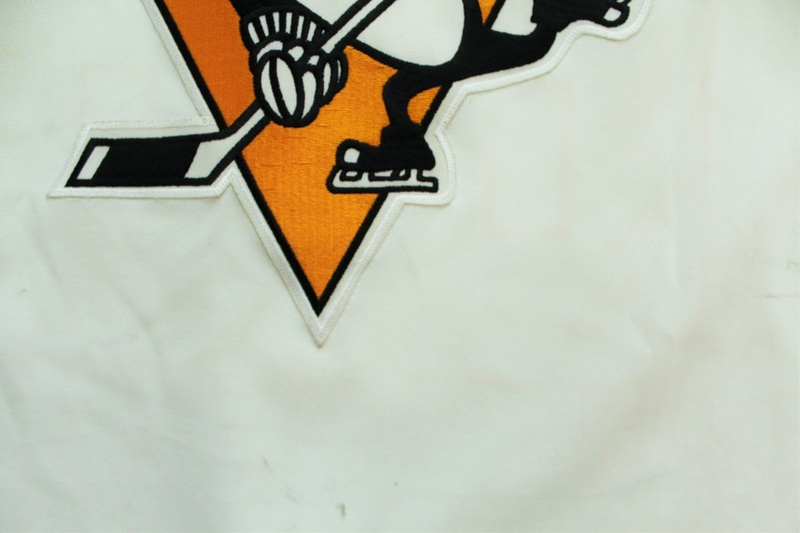 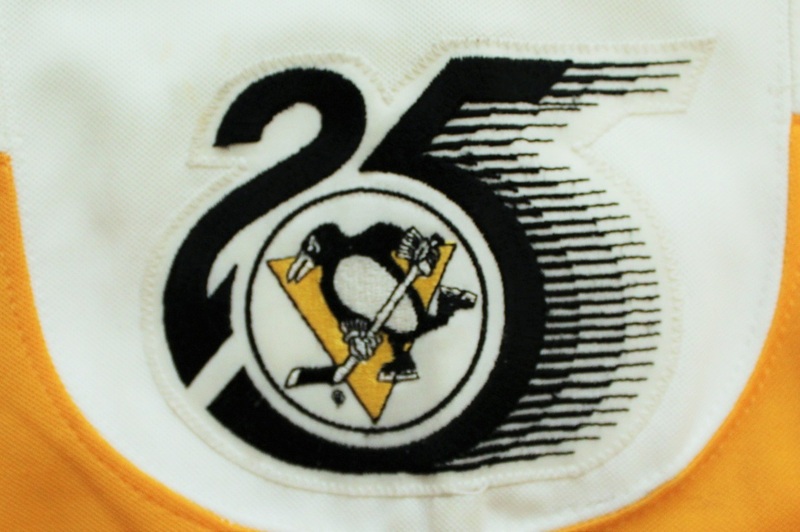 ​The jersey was acquired by PenguinsChronicles.com from a private collector on August 15, 2013. 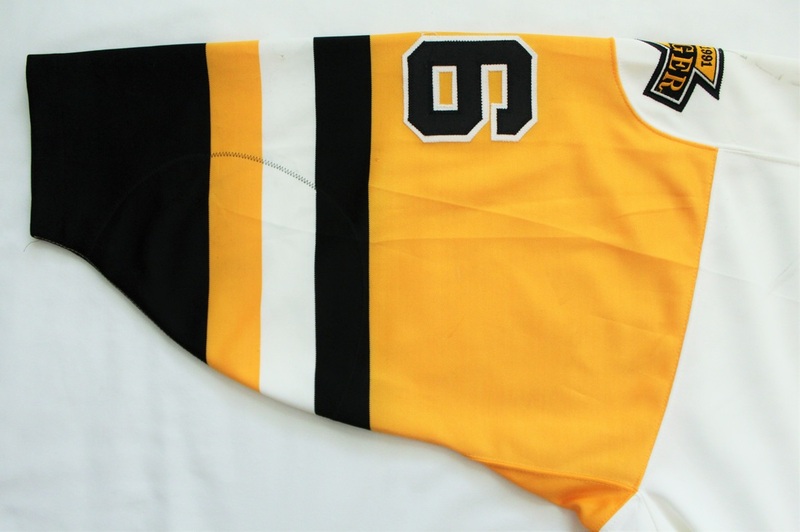 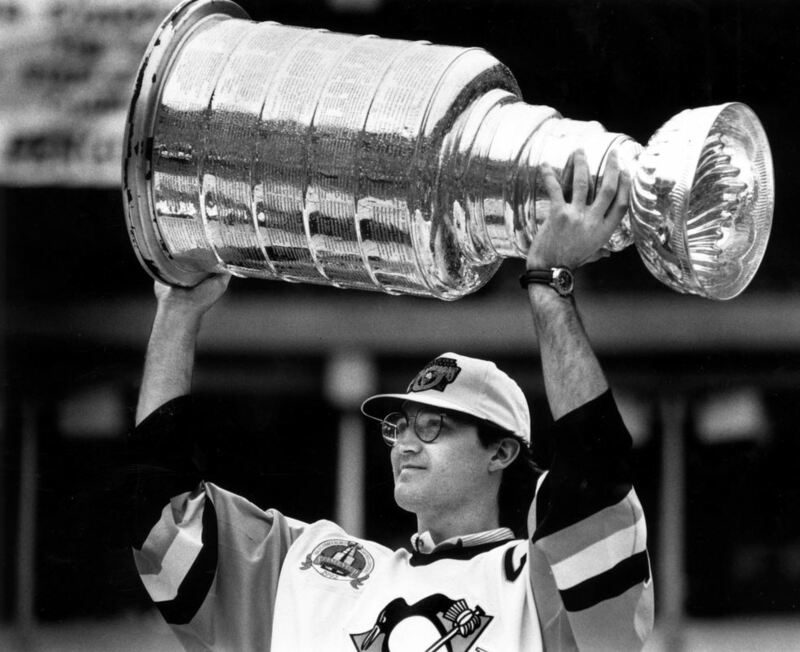 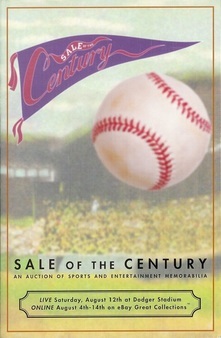 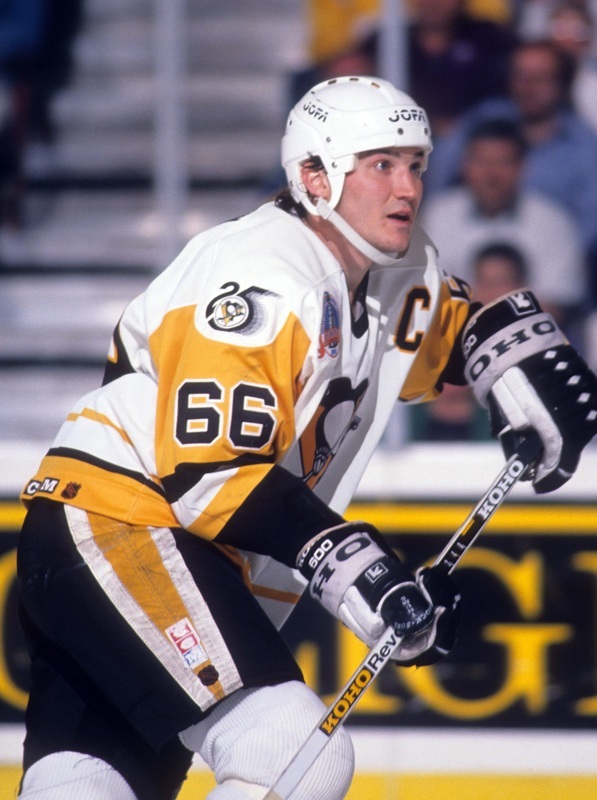 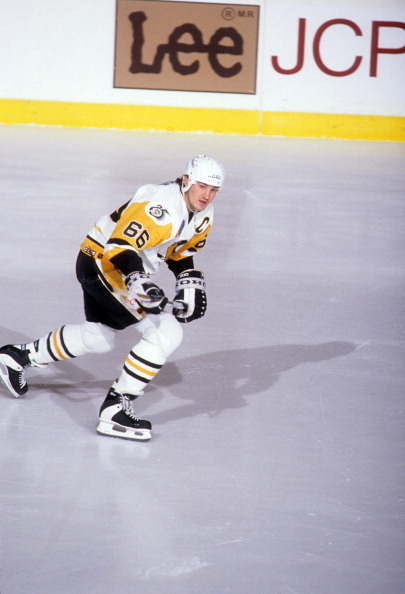 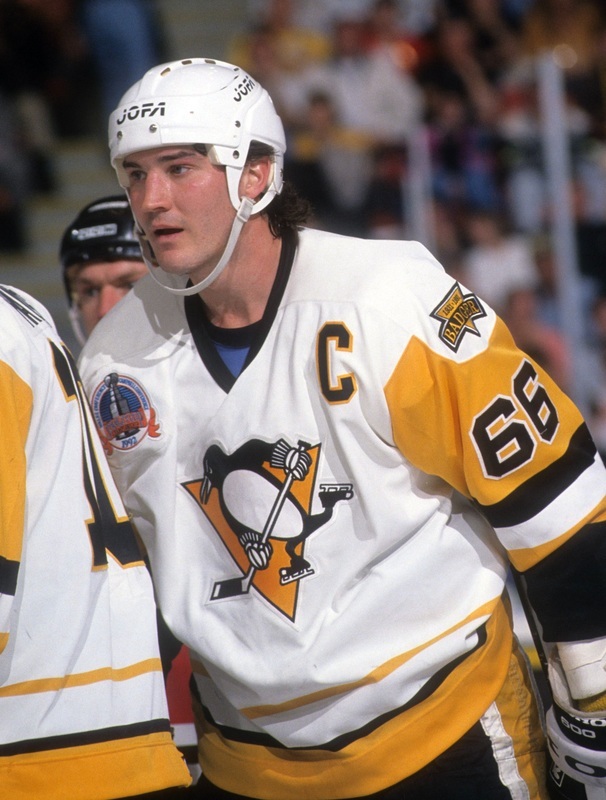 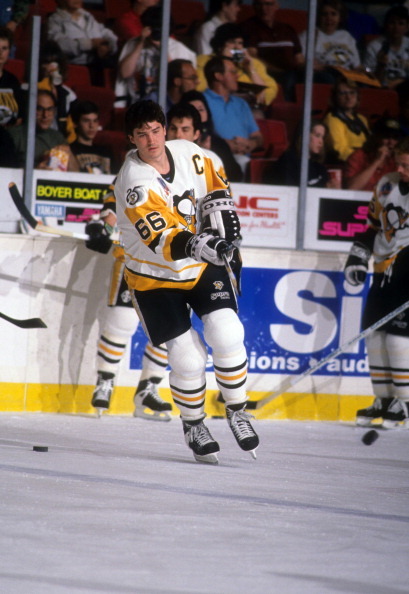 Mario Lemieux consigned his 1992 Stanley Cup Final home jersey to the "Sale of the Century" which took place at Los Angeles' Dodger Stadium on August 12, 2000. 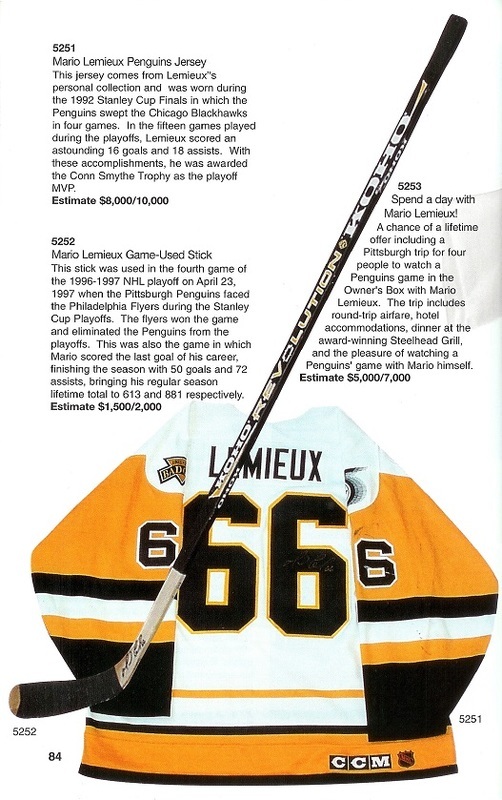 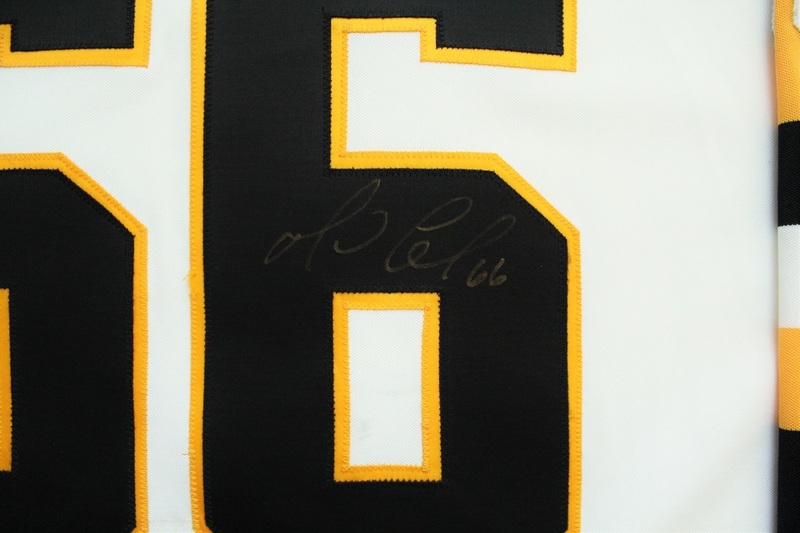 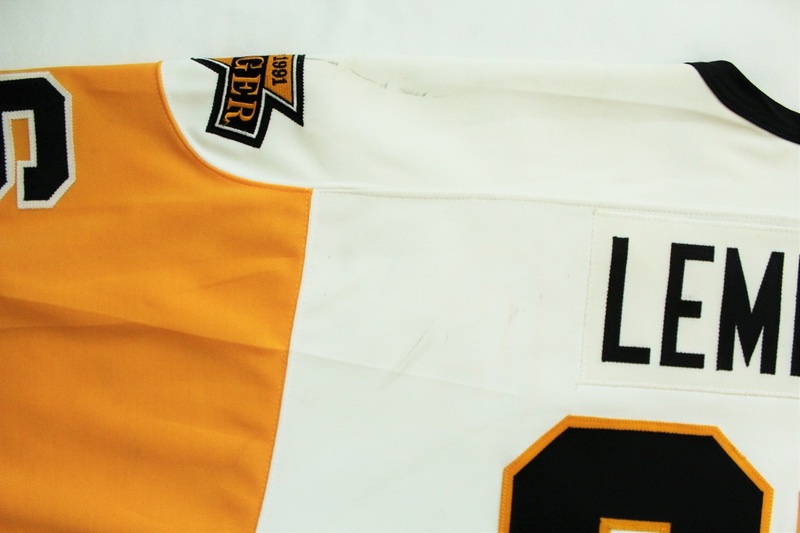 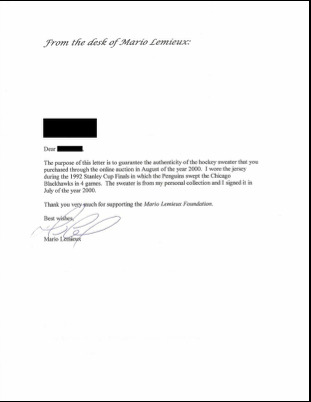 The jersey was one of three items consigned by Lemieux in the auction to raise money for the Mario Lemieux Foundation. 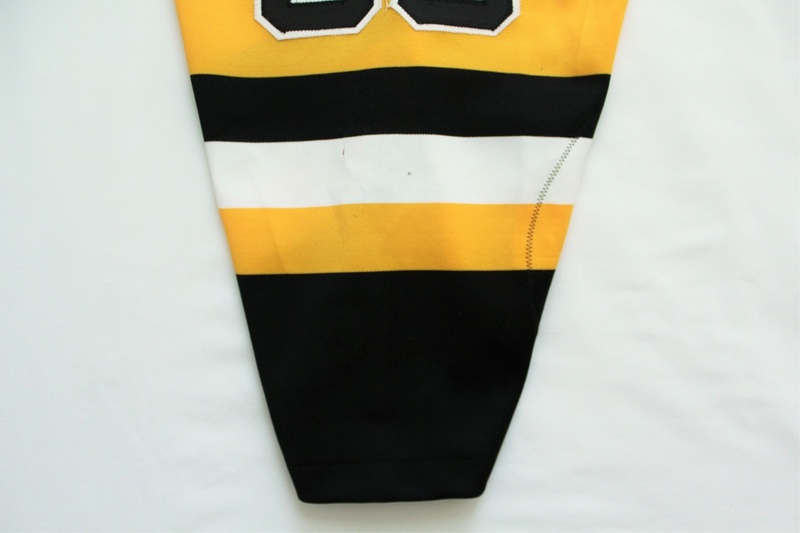 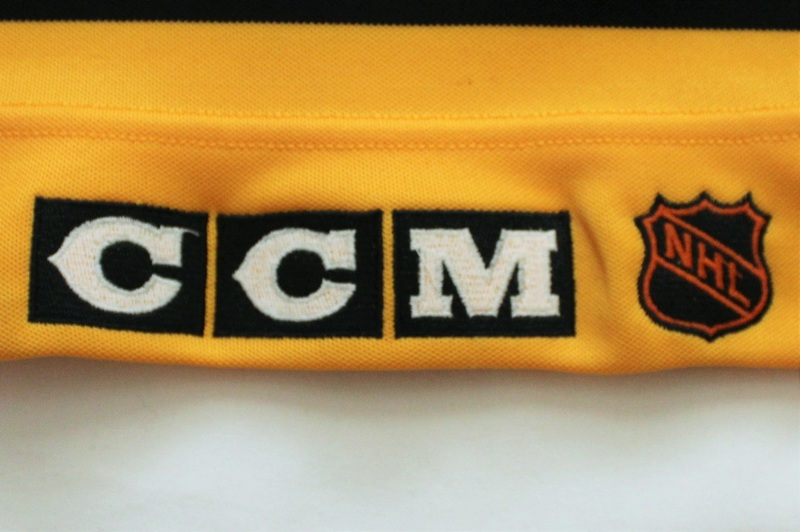 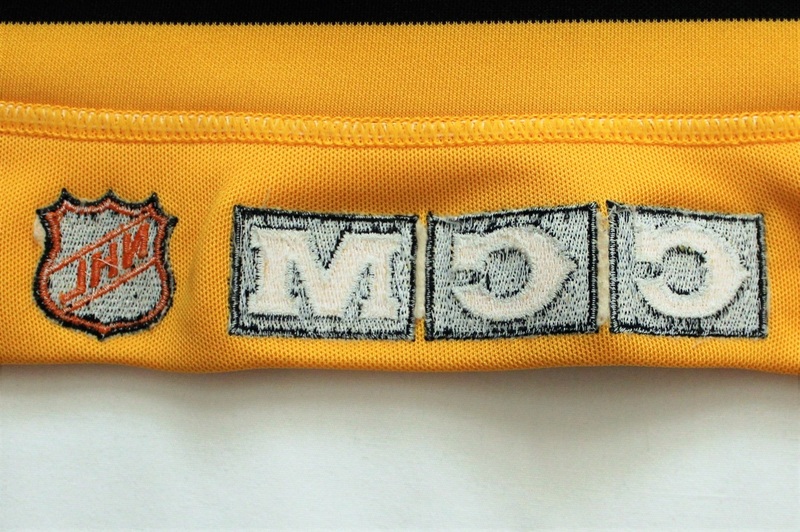 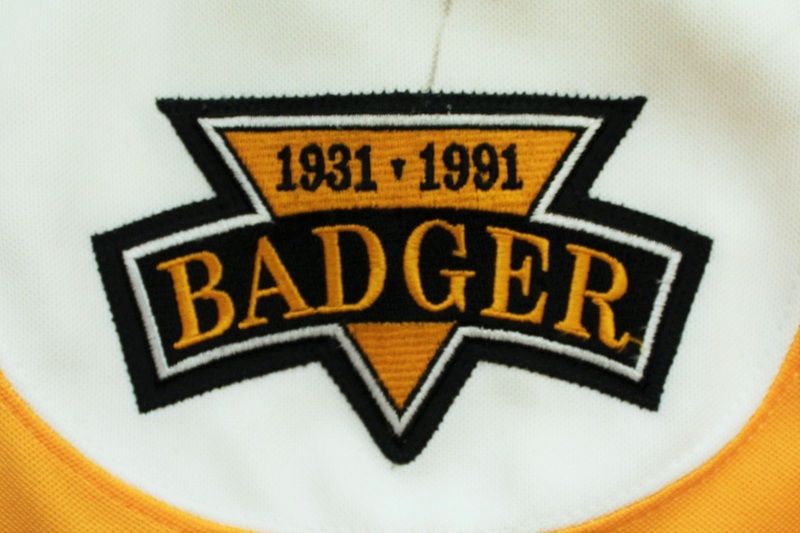 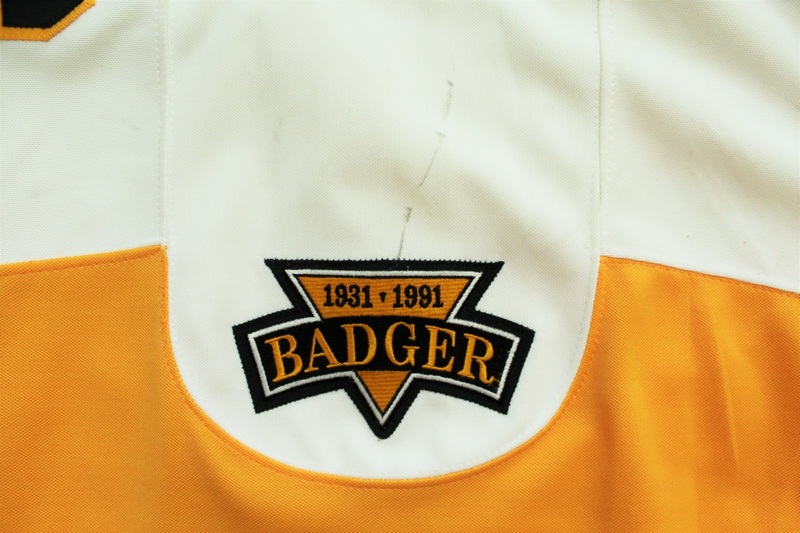 The jersey was owned by a private collector until 2013.